In 2017 GivingTuesday was celebrated in 150+ countries around the world, engaging millions of Canadians and raising over $300 million online in the USA alone. As the movement grows globally, countries and communities are localizing and launching initiatives to encourage giving, volunteering and acts of kindness at the grass roots. 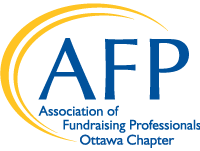 Join Lys Hugessen from the GivingTuesday Canada organizing team to learn more about the movement and how your organization can benefit on GivingTuesday and throughout the giving season. She’ll share how to get started, campaign examples, best practices, tips for social engagement and more. As President of GIV3 (The GIV3 Foundation), Lys leads a public awareness campaign with a unique mission: to encourage more Canadians to be more giving through volunteering, donations and inspiring others. GIV3 and several other organizations collaborate to lead the GivingTuesday movement in Canada.